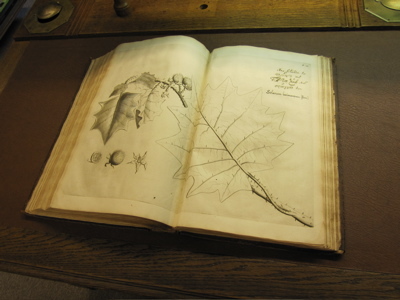 Hortus Malabaricus is an online community platform serving an international interest group regarding the Hortus Malabaricus, a 17th century 12-volume book illustrating around 700 indigenous plants in the Malabar region of Kerala, India that explains their medicinal properties, with captions in 5 different languages. The content will focus on not only the creation of the Hortus Malabaricus but its artistic, botanical, medicinal and political importance in 2013 by concerned parties. During the late 17th century when the VOC (Dutch East India Company) controlled trade along the Malabar coast, the former Dutch governor Hendrik van Reede tot Drakenstein collaborated with local doctors, botanists, translators and artisans to produce the Hortus Malabaricus. A study into (un)becoming Dutch- Part I in the far room on the left is where my Ayurvedic doctor tells a story about emigration, immigration, integration, and finally disintegration in regard to setting up his practice in the Netherlands, while driving through his neighborhood in Kerala. In the main gallery a copy of this book is on view for visitors to peruse its beautiful drawings as well as The Wanted Land, a 12-minute video that makes visible how local people have interpreted, understood and experienced the Dutch colonization of Fort Cochin. February 18th, 5-8 pm: Opening, public discussion and launch of an online community platform http://hortusmalabaricus.net The opening will bring together local interest groups regarding the Hortus Malabaricus. All are invited to contribute their knowledge, participation is encouraged and refreshments will be served.